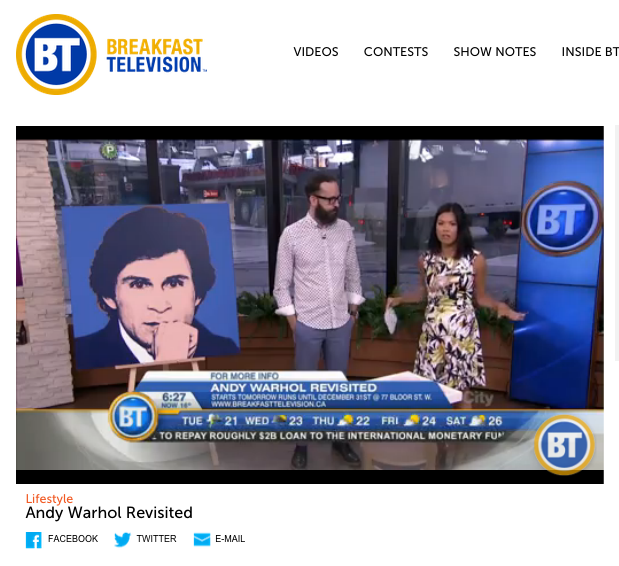 On a June 30, 2015 video segment, BT Toronto on Andy Warhol Revisited interviewed in-studio Ryland Behrens, art director of Revolver Gallery, on the gallery’s latest exhibition, Andy Warhol Revisited, in Toronto’s Yorkville neighborhood. Behrens discussed prominent Warhol works featured at the six-month long exhibition including Queen Elizabeth, Dollar Sign, Marilyn Monroe and Georges Marciano. Visit BT Toronto to watch the exclusive interview.